Just kidding. It may not have been the best day ever but it was most certainly up there, top ten at least. Why, do you ask? If you don't watch Doctor Who, no need to read any further, you'll just think I'm more of a weirdo than you might have before! Matt Smith (The Doctor) and Karen Gillan (Amy Pond) were coming to the Louisville Comic Con. They were coming to Louisville. Kentucky. Why? Who cares, but I was so there! I never really thought of myself as a 'nerd' and I still don't (I'm not that cool), but I absolutely love love luh-ove Doctor Who. KC doesn't, neither does my best friend, so we did a 'spouse swap' for the dual photo opportunity (that way we only had to pay once, if we shared the photo - if we did it separately, my husband may have had me committed). It was over in 3 seconds, but it was the best 3 seconds ever. That's all I really have to say about it! I didn't take the best outfit photos, but who cares, because Doctor Who. 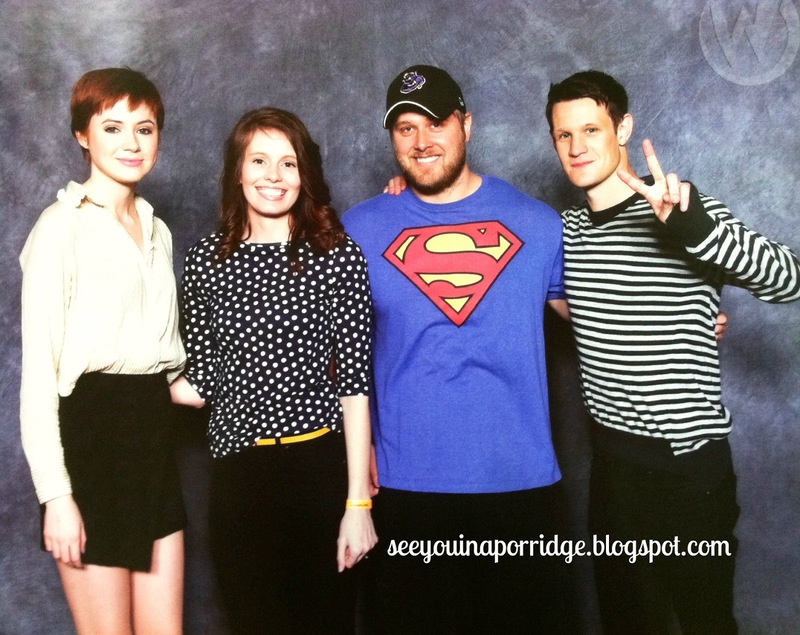 no big deal, just Karen Gillan & Matt Smith, our new besties. It was seriously so awesome. Karen Gillan is soteenytiny I couldn't believe it. I just wanted to squish her and hug her. Matt Smith was super friendly and they were both so polite and awesome, and there were easily thousands of people there to see them. I cannot imagine how tiring that must be, how many of the same jokes they must hear, how many not so nice people they meet, you know? I think its completely and utterly awesome that they do this. That's all. my fancy new water bottle. unfortunately, not bigger on the inside. the most awesomely awful photo that sums up the whole day. there was so many cool stalls with so much stuff it was hard to take it all in! a lot of the stores sold the same things, and a lot of them were super crowded, so we kind of wandered around aimlessly, but it was fun. there were several doctor who stores, this one had several of the books and was the most crowded although it may not look it! we couldn't even get in around all the people. I love the outfit you wore! You are adorable! 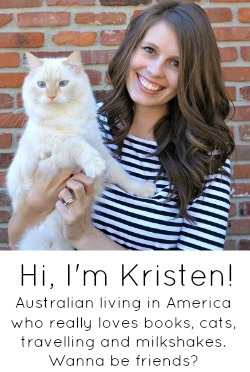 I'm a fellow down-under transfer (I'm from New Zealand) so I just wanted to say hi - and I think you're style is super cute! 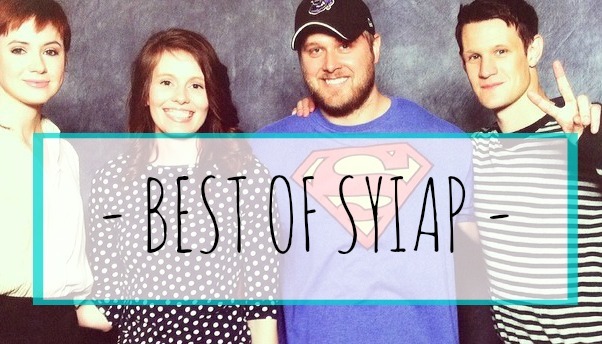 I love Cons! We always go to Wonder Con and Comic Con here in California. It is a really cool time. I prefer Wonder Con, because the wall to wall humanity is overwhelming at Comic Con. P.S. Have you seen the Dr. Who stuff on Modcloth? I am buying some for my daughter. She loves that show, too! thanks so much Jenni! I would love to go to a bigger Con one day, but they are a bit overwhelming! And no, I had no idea Mod Cloth had Doctor Who stuff, I think I know where all my April budget is going! Loved seeing all your photos - looks like you had an amazing time!! Ahhhh I am seriously freaking out over that picture!!! So jealous! I am currently on Season 6 - so right in the middle of Matt Smith and Amy Pond. I'm definitely slightly in love with David Tennant, so I love the pic you took with his poster :) Seriously, this is so awesome!!! 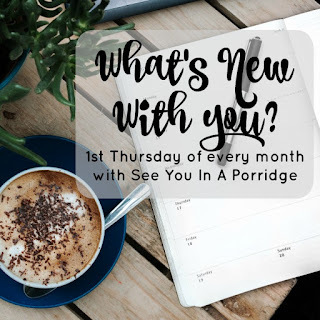 Hi, just checking out your blog from your comment on mine via the link up! Love it so far! Also, my "nerd" boyfriend would be sooo jealous of your Doctor Who photo op! I had no idea we had a Comic Con in Louisville!